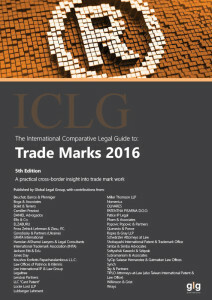 The International Comparative Legal Guide has recently published it’s 2016 Trade Marks issue. Our own Mr. Ólafur Ragnarsson contributes with a comprehensive article on Icelandic trademark law and practices. You can read it online here.